Just steps from shopping, dining, entertainment, and public transportation, Mulberry Station gives you the best of both worlds with a location in a serene neighborhood environment just minutes from the city.  Within walking distance to Pennsylvania State Government buildings, the Business District, Strawberry Square and Susquehanna River, Mulberry Station ensures that you will have everything you want close to home and puts you just steps from public transportation. Students and professors alike will appreciate our proximity to Harrisburg University of Science & Technology. We are also less than a mile from Interstate 83, so whether you are traveling or commuting to downtown Harrisburg, you can get there quickly and easily. Visit our ideally located Harrisburg apartments today to experience our neighborhood for yourself!